August 2018 was not a good month to be driving on Jacksonville bridges. Over the span of just four days, three separate accidents occurred on two different bridges. The cause of each accident was wrong way driving. 14 percent of these accidents happen on major highways, with the rest frequenting scenic byways and country roads. Of course, the statistics only tell a part of the story. Numbers don’t shed light on the painful recovery individuals must fight for after experiencing crushing injuries, brain trauma, or burns. They don’t begin to help us understand the agony of loss when an innocent life is lost. Florida families have had to say good-bye far too soon to mothers and fathers, daughters and sons. Grandparents, godparents, siblings, and dear friends have all been lost, leaving mourners to try to figure out how to continue on without loved ones. 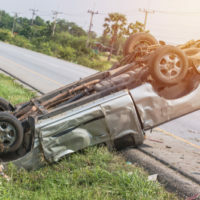 And certainly, statistics can’t begin to help us understand the post traumatic stress suffered by individuals who survive harrowing automobile accidents. In addition to the emotional strife, families are faced with financial devastation in far too many cases. Medical bills, property damage, lost wages, and loss of service all add up to crippling debt. There is not much you can do in the few seconds you have after realizing that another vehicle is careening toward you in your lane. Obviously, avoiding distractions yourself, executing passing maneuvers only with extreme caution, wearing a seatbelt, and doing your best to swerve out of the way of an errant driver are your best bets at surviving this type of encounter on the road. If you or a loved one has suffered serious injuries or death following a head on collision, you deserve compassionate, yet aggressive and tenacious legal representation. That is precisely what we can promise you at the Law Offices of Robert W. Elton. Contact us in Daytona & Ormond Beach to schedule a confidential consultation today.